One great aspect of my retirement and recent freelancing is getting to know more about my local community. I have finally had the chance to see what is going on locally and meet those who shake things up. I’ve become amazed with the level of things that happen at the local level in a small, rural community. 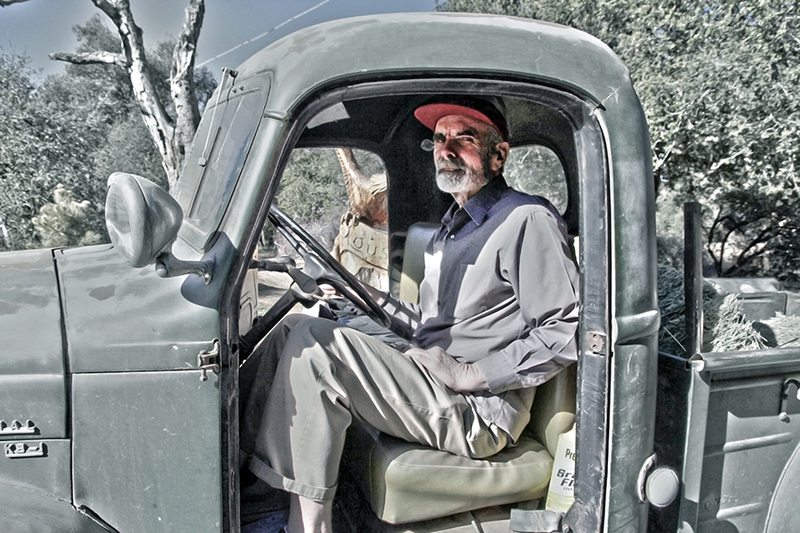 One person here in Descanso who makes a difference is Duncan McFetridge. He has a long history of getting some things done for the better in our community. I had the pleasure to sit down with him at his cabin, in his massive library, on Dec. 17. We then met again for an adventure after Christmas to view one of his impressive carvings, revel in many of his stories, and then share tea at the Descanso Junction. He’s a brilliant, fascinating man with a deep passion of what is right, true and noble. He is not a typical “2014 man.” He is a classical, Renaissance man who eschews the material life. I wish the world had more Duncans, and just a few less Jamie Dimons and Donald Trumps. I’m happy that he is now my friend. I went to the cinema to see a movie with my sister, Lisa, today. We saw “August: Osage County” with Meryl Streep and Julia Roberts. I rarely go to the theater to see movies anymore; and I say this as a true movie lover. My thoughts on this movie: the acting was phenomenal. The story line was interesting, but they blew it with the ending. It was a depressing portrait of a very dysfunctional family of very bitter and mean-spirited women. It made me appreciate my own dysfunctional family, which was never as mean. I thought the ending just left everything hanging, with no closure. I think Lisa was expecting a “Steel Magnolias” sort of story, but it wasn’t that. These were clearly, really fucked up women. So, on a scale of 1 to 10, I’d probably give this movie a 5. Again, great acting. I loved the Chris Cooper uncle character; he had the most heart. Julia and Meryl were great in their characters. And I loved the sister, Ivy. What about our own little miss Sunshine? Abigail Breslan was great at the 14-year-old daughter of Julia’s character. I think she has a bright future of acting ahead of her. I wanted more from this movie, but it just left us all hanging. But it made me glad I didn’t live in Oklahoma. And glad that even though our own mother was not perfect (we all had our issues with her), she was not a mean-spirited, horrible human being, as portrayed in this movie. My momma had a good heart and soul, underneath it all. I have come to appreciate my mother as each day goes by. She did her best, and it wasn’t so bad. I’m a lifelong resident of East County and, for the past 25 years, I’ve lived four miles from Green Valley Falls. 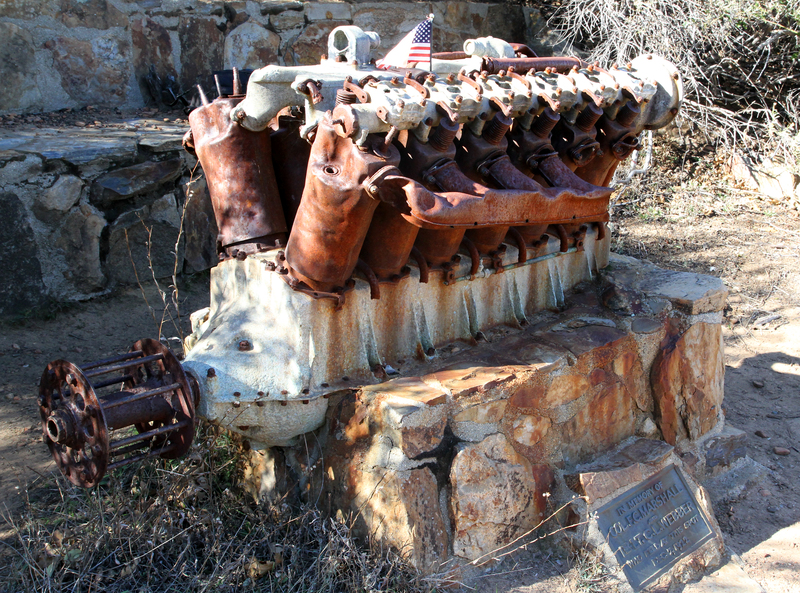 Until last week, I had never heard of the Airplane Monument hiking trail just north of Green Valley – literally 4.5 miles from my house. 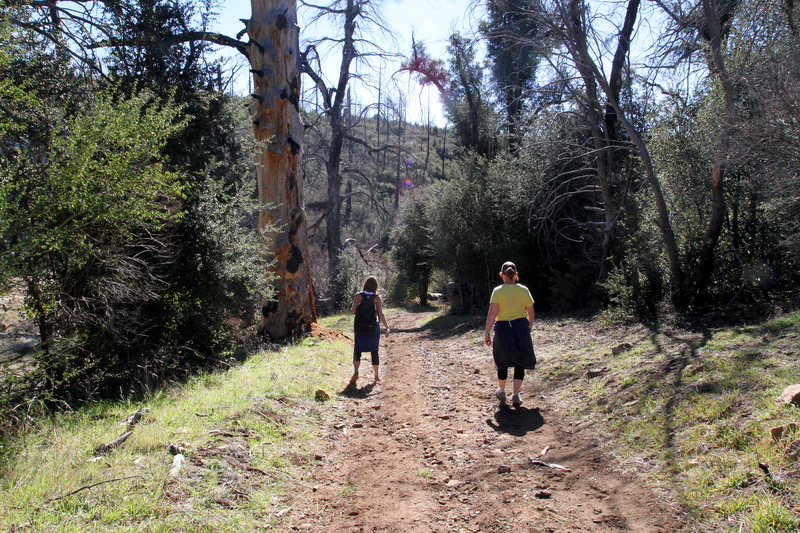 On New Year’s Eve, I joined two companions for a day hike up this historic trail in the Cuyamaca Mountains. At only 2.6 miles one way, with some inclines, it’s not a difficult hike, but gives a lot of aerobic exercise due to the hills. As a 58-year-old woman with some extra weight to carry, I found it do-able but a great workout. My companions, seven and eight years younger than me, were great troopers in waiting for me bringing up the rear. We followed various directions that we found online. Most stated to park at the area just north of Green Valley Falls campground (federal parking permit required, which you can buy at many places, including Perkins Market in Descanso). From the parking area on Hwy. 79, you will need to head a little east to pass the Sweetwater River Bridge, then cross the road heading north. Looking back on our guide tools, most said to turn left to the southwest; we, however, turned right to the northeast. That was okay, because it still took us in the right direction, as the trail is a loop. You can’t go wrong either way. Unless, like us, you PASS the sign for the Airplane Monument and go a mile or two out of your way (downhill, which requires returning uphill — I hate inclines). We heard voices and ran into a very nice UCSD student with this mom and younger sister (I didn’t mention my SDSU affiliation). Unlike us, he actually had a real map and the bible of all bibles: Jerry Schad’s Afoot and Afield in San Diego County. He let us know the error of our ways; we had passed it our destination a mile or two back. We made our way to a fork in the road then noticed the sign with very small print stating “Airplane Monument.” Again, we’re middle-aged women – we often miss small print. 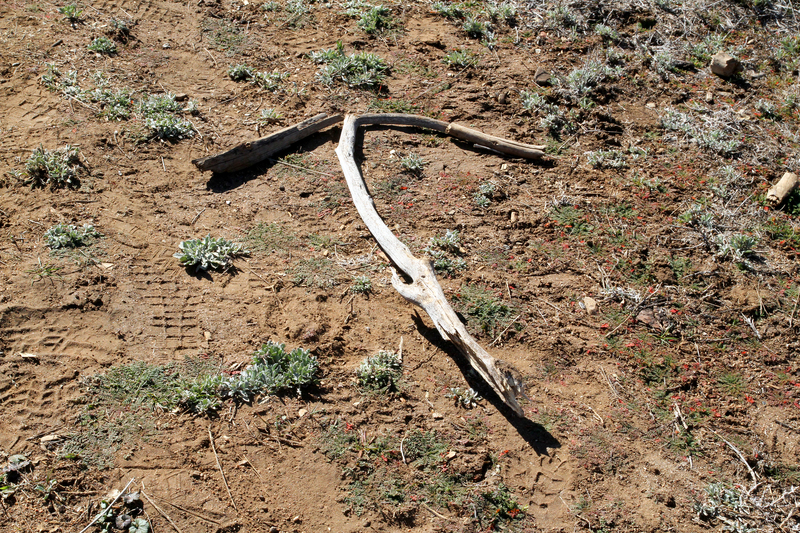 The other thing we missed was the arrow the UCSD student made for us: he went out of his way to construct sticks into an arrow shape just for us. How sweet of him. How blind of us to miss that. It was only 1.1 miles from the point, and it was a pleasant hike. After what seemed like two miles (or more, at least to me), we finally were getting close to this historic site. Within just a few yards, we ran into the UCSD student and his mom and sister coming down. “How much farther,” one of my companions asked? “You’re there,” he said. “Did you see our arrow we left for you?” No, but what a sweetie pie he is. And he wasn’t even an Aztec. We made it! Breathe. Drink water. 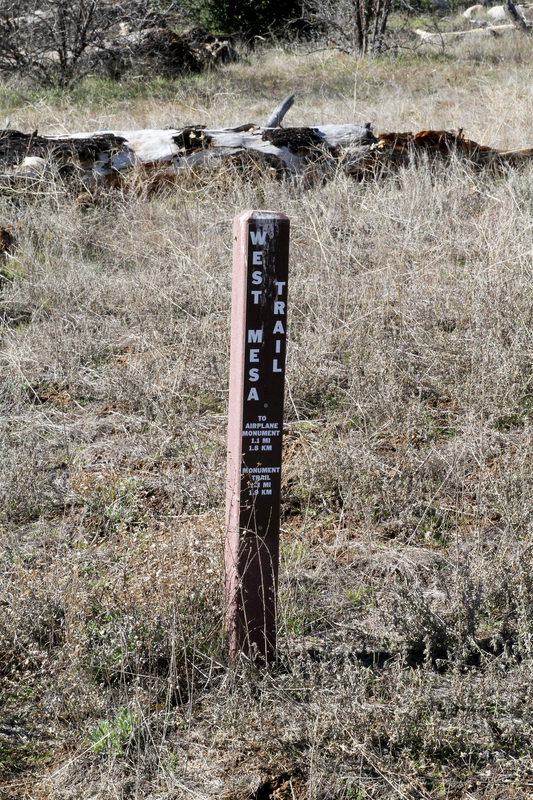 The Airplane Monument affords some great views of the East Mesa and north in the Cuyamaca Rancho State Park. Having hiked in these areas for many decades, the sad thing for me is seeing the devastation that the park endured from the 2003 Cedar Fire. 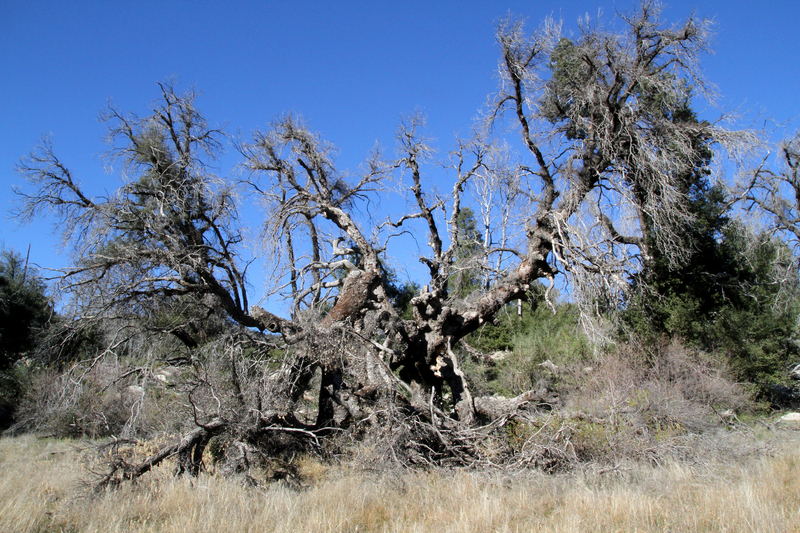 There are what I would call carcasses of very old oaks and pines; things that will never return in my lifetime, nor the generation after me. 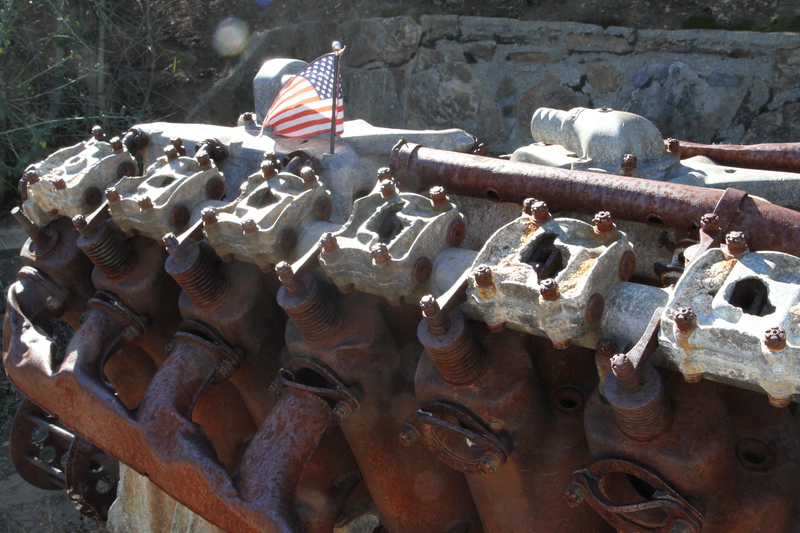 Yet, I did find a strange beauty in what survived and the remains of those that did not. New life springs up. It is the oldest lesson of life, isn’t it? · Bring water. Lots of water. Even a small hike requires at least 2 liters per person. · Other things that can come in handy: Kleenex or toilet paper; wipes; a bag for trash (to take out – a must); cell phone (service can be spotty but might be available). A camera (or iPhone). Photos are priceless. 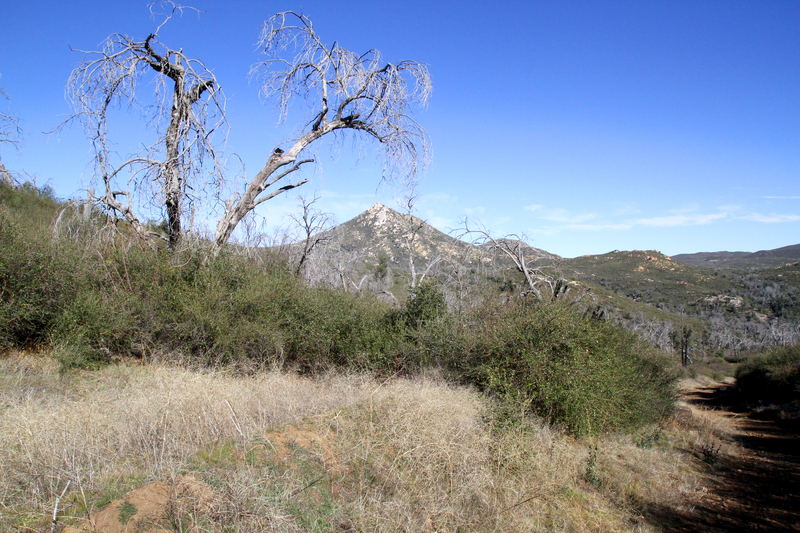 · Easily accessible pepper spray (not like the situations in Law and Order, but the Cuyamacas are mountain lion territory, in addition to coyotes). Have pepper spray ready for an emergency. · Dress appropriately: good, sturdy shoes; a hat; sunscreen; long pants to ward off ticks; but appropriate for the weather. · Let people know where you are going and when. · Savor the beauty and the moments. I’m a few days late, and it’s been at least three weeks since I last posted, but I am hoping for a peaceful, happy and loving 2014 for my family and friends. I’ve written enough about the losses we experienced in 2013; I can only hope the new year brings all of us peace. Still, those losses are lessons about life. We don’t get out alive and we need to make the most of the life we have. Time is limited, folks. Let’s live it up while we can. Are you doing what you want to be doing with the little time you have? If not, think about what it is you want. Of course, be practical, but don’t waste those precious moments. They go faster than you can even imagine. Rather than reflect on the past, I want to express my hopes for the coming year. First, we have a new baby girl coming into the family in late February. I can’t begin to tell you how exciting and life affirming that is for us. I cannot wait to meet this child. I already love her, and will love her even more when I get to know her spirit and personality. We have several great-nieces and great-nephews growing up so fast. They all give our life meaning. I hoping for special times with all of them and other loved ones; my sister (maybe a cool trip with you and many hikes in our mountains); my cousins (I love you all and we need to get together); my mother-in-law (how lucky I’ve been to not only love, but like mine! ); my SIL (who, over the past year I’ve grown to admire even more and nominate as my hero); my true friends; my BIL, Whitey, who has struggled but shown great strength and grace in adversity – again, a hero of mine. Let’s not let 2014 get past us without a few special moments together. Know that you are all loved and admired.